Investing without understanding the product: For example, equity funds are meant for the long term, but investors look for easy returns in the short term. 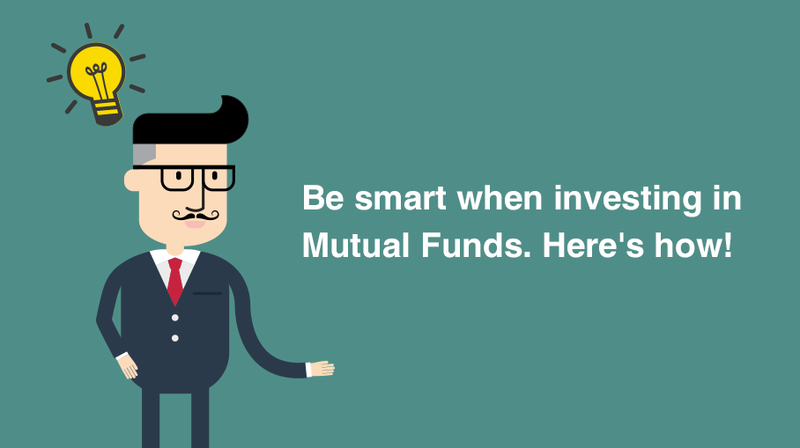 Investing without knowing the risk factors: All Mutual Fund schemes have certain risk factors. 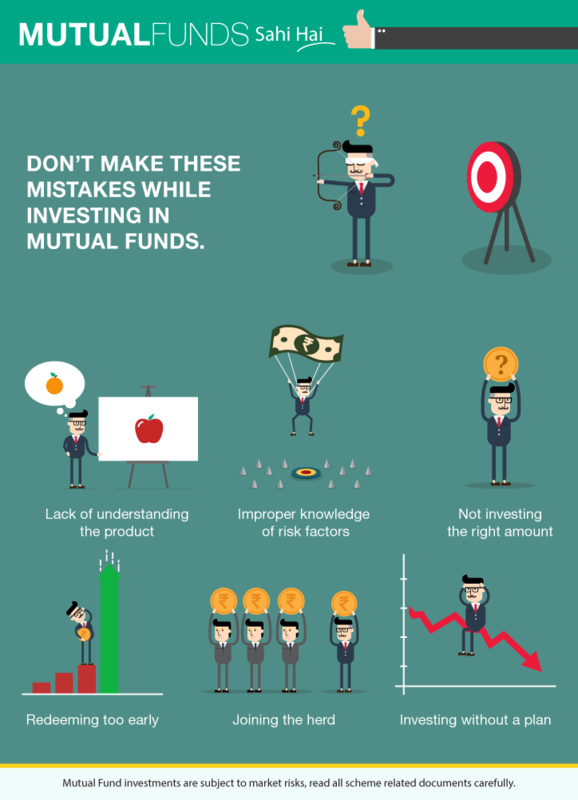 Investors need to understand them before making an investment. Not investing the right amount: Sometimes people invest randomly, often without a goal or plan. In such cases, the amount invested may not yield the desired result. Redeeming too early: Investors sometimes lose patience or do not give the requisite time for an investment to provide the desired rate of return, and hence redeem prematurely. Joining the herd: Very often, investors do not exercise individual judgement and get carried away by the buzz in the ‘market’ or ‘media’, and thus make the wrong choice. Investing without a plan: This is perhaps the biggest mistake. Every single rupee invested needs to have a plan or goal.